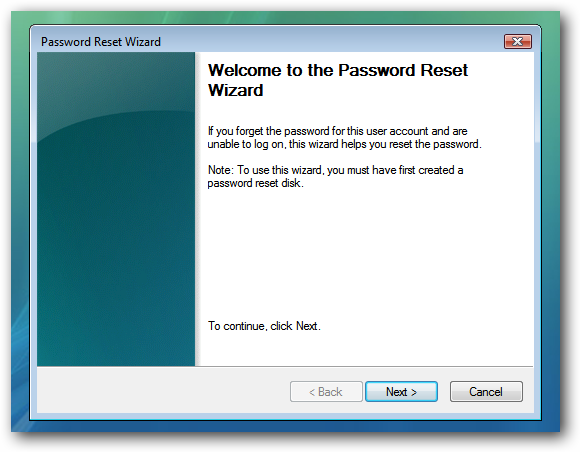 Forgetting your password can be an extremely frustrating situation, and we’ve already shared how to reset your password with the Ultimate Boot CD as well as the System Rescue CD, but you can prevent the situation entirely by creating a password reset disk. The Password Reset Disk is essentially a small file that can be used to reset your password, even if you have changed your password since creating the reset disk. This can be extremely valuable for preventing any embarrassing situations. 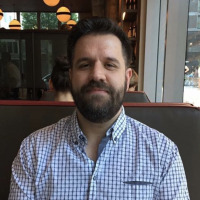 Naturally, you should store this in a very safe place, since it can be easily used by anybody to reset the password and gain access to your account. 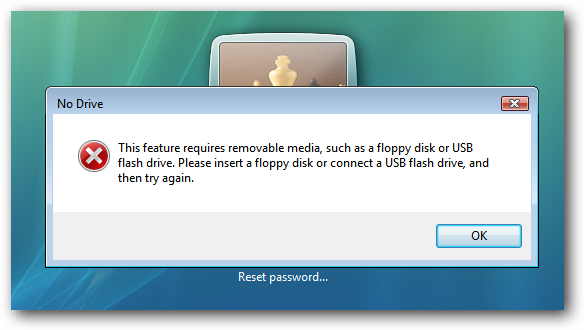 Of course, Windows has supported the use of a Password Reset Disk for a while, but Windows Vista makes it really simple to use since you can use a USB Flash drive to store the reset file instead of a floppy. 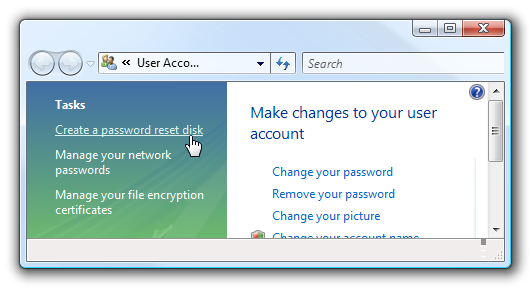 Open up User Accounts by clicking on your User icon in the start menu, and then select the link for “Create a password reset disk” over on the upper left-hand side. 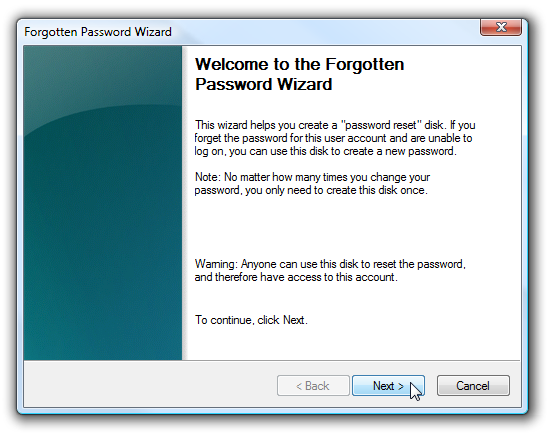 You’ll be greeted with a wizard that gives you basic information about how it works… just click Next. You’ll be asked for your current password, which we’ll hope you haven’t forgotten. 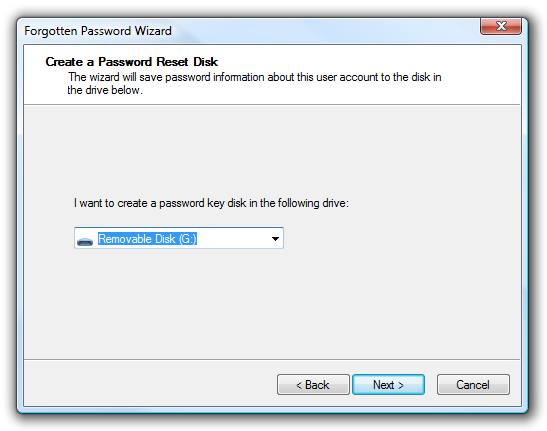 And that’s all there is to it… just remember to save this disk in a safe place. 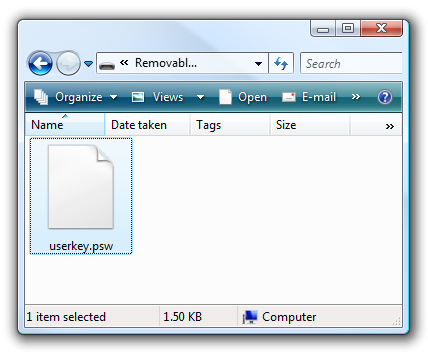 If you actually look at the drive, you’ll see a file named userkey.psw that contains your reset key, and you could backup the file to another location if you wanted to. 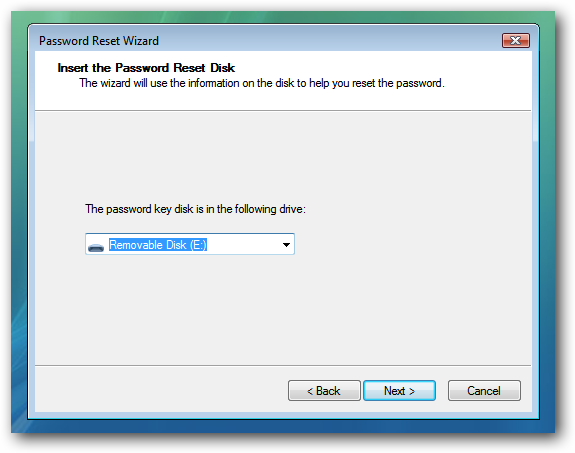 Logically, you could then copy this file to another USB drive and use it to reset the password. 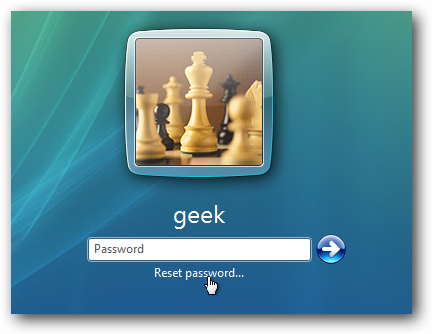 Once you have a password reset disk, you can use it easily the next time you forget your password… once you’ve typed the wrong password Vista will show a “Reset password” link below the login box. 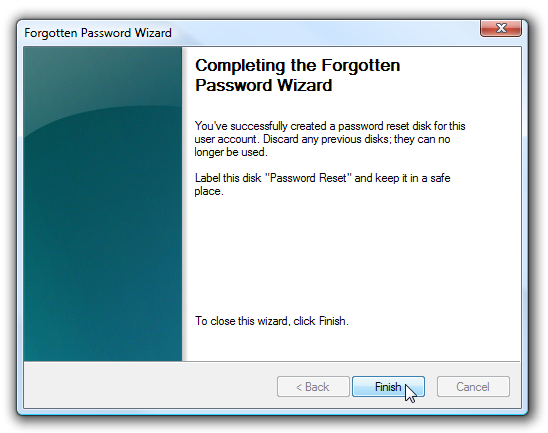 If you do already have the disk inserted, you should get this wizard screen instead. 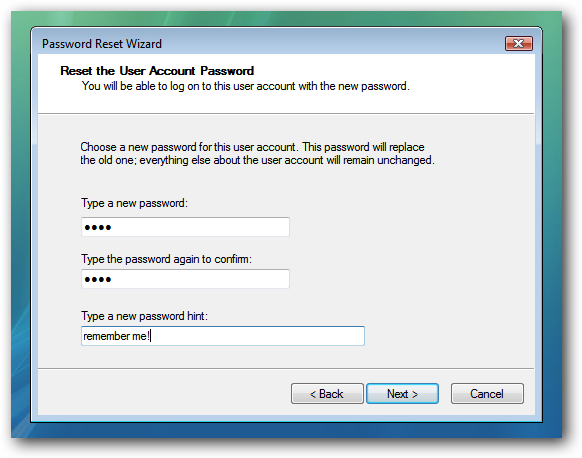 And then type in a new password and a hint for the password. 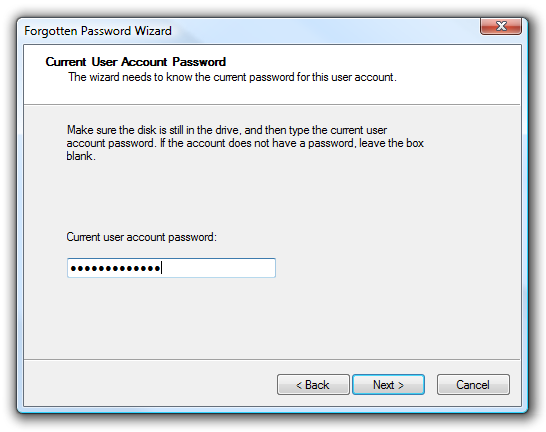 Note that you don’t need to create a new password reset disk after using it to change your password.